This weekend is the annual running of The Rolex 24 at Daytona. This car race is widely considered to be the most grueling endurance race that is run in the United States, as well as most coveted title on the domestic endurance racing circuit. It's run on the historic road course of Daytona International Speedway and this year celebrates the 49th Anniversary. Some notable winners of previous races read like a who's who in the racing world. They include Juan Pablo Montoya, Scott Pruett, Dario Franchitti and legends Al Unser Jr., Al Unser Sr. and A.J. Foyt. Of course, our own Franck Freon, who raced with all those guys, and more importantly was an integral part of one of the most historic wins of all time in this great race. As they celebrate the the 49th Anniversary of the Rolex 24 in Daytona, we here at Pumpkin Cars in Egg Harbor Township New Jersey, along with Franck, Gina, Harrison, Isabella will celebrate the 10th Anniversary of the historic win of the #2 Corvette C5-R! Come join us this Saturday, and if he can still remember how to do it, Franck will provide autographs!! 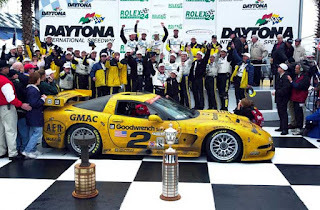 As the 2001 Rolex 24 at Daytona approached the focus of the racing world was on the GM Corvette Racing Team. The reason for this was that NASCAR racing legend Dale Earnhardt and his son Dale Jr. signed on to drive for the team at the Rolex 24. It was widely considered to be a "dream team" along the lines of the NBA's Miami Heat starring LeBron James, Dwayne Wade and Chris Bosh of today. It was also considered to be the revival of the "all star" format that the Rolex 24 is known for today. Dale and Dale Jr. were teamed with Andy Pilgram and Kelly Collins in the #3 Corvette. The #2 Corvette was driven by Franck Freon, Johnny O'Connell, Ron Fellows and Chris Kneifel and although the more seasoned drivers at that race, no doubt were not viewed with the same fanfare and attention as the #3 driven by Dale Earnhardt who had never before driven in the Rolex 24. It was Franck and his teammates in the #2 Corvette C5-R that took the checkered flag and the title. The win was historic for Corvette Racing as well because the #3 car took fourth (2nd in class) and the Corvettes dominated the field filled with Porsche, Ferrari's and a total of 89 cars! Gina Freon recalls, "If any Pumpkin race fans have race memorabilia --- they might want to check it closely - if you have a shot of the podium with the Corvette in front of it - look throught he car to catch a glimpse if Franck's little "Pumpkin", son Harrison, at the age of 3. He was dressed in a red "firesuit" and happy that his Papa had just won, but he was even more excited to be near the Corvette itself. He wanted to climb in and take the wheel already at such a young age - he wanted to drive fast like Daddy." Franck does miss racing, and it's hard for him, because unlike guys who played basketball or football in college that can still play around amongst eachother on weekends or after work, racing is gone. "Car racing at the level I competed requires high level equipment, extreme physical conditioning and a track," Franck Freon shared with us at the showroom...."Trophies and champagne are nice, but the real fun came in earning them! Those were some great times for me as an athlete. Today, I have a superbe family, great employees and fantastic customers at Pumpkin. Although it is a different kind of "celebrity", I'll take it. It's wonderful. As far as endurance...I'm sure the celebrity I'm living now will last longer than the fame from even my most famous wins! I may not go as fast, but every car on the Pumpkin's lot gets a special drive from me before being sold to make sure it's in great shape and that's a pleasure for me. I'm lucky," Franck finished. Check our facebook page and you tube pages for more from Franck this weekend! Just to get you ready for another great weekend of fantastic values here at Pumpkin Fine Cars we couldn't help but show you this gorgeous 2007 Volvo S60 2.5T with All Wheel Drive. Perfect for those wintry, snowy days like today. Just one of many great cars in our inventory, this has an awesome color combination of Metallic Blue and Gray leather. It has a ton of features and option that you will love! They include Power and Heated Seats with Memory Positions, Alloy Wheels, a CD Player, plush leather interior and of course the aforementioned All Wheel Drive. Not only does this car look great, but Volvo is known the world over as being by far the safest car manufactured today! This beauty has been test driven by Franck Freon himself, fully serviced, detailed and buffed to a shine and is ready to hit the road. This is all done as part of our rigorous Pumpkin Certification Program, on which we never compromise. Swing by our unique indoor showroom today to check it out! Remember you can always reach us over the phone at 609-646-7676 and via email at [email protected] . You can find and "Like" Pumpkin Fine Cars on Facebook, follow the tweets of @PumpkinCars on Twitter, view videos of our showroom and inventory on YouTube and if you like what you have just read, please subscribe to our blog. As all of us at Pumpkin Cars perfect the art of shoveling and parking our cars in what we call "snow formation", we want to let everyone know that the experience of shopping for a fine vehicle at Pumpkin Cars can be an enjoyable one even in this wintry weather. We are in quite a unique situation, as opposed to other dealerships, most of our inventory is kept indoors and protected from the nasty elements. Since we have an indoor showroom our customers are able to shop for vehicles while remaining out of the chilly, and sometimes down right bone numbing, temperatures. Plus, we like the company on harsh weather days like today. So, visit us soon! We look forward to seeing you. In the meantime, be careful shoveling and walking or driving on the snowy, or icy roads!! If your looking for a steal, boy do we have one! Check out this NICE, CLEAN, CLASSIC E320 Benz for ONLY $9,995!!! This 1998 E-Series has LOW MILES with ONLY 68k, a PERFECT CARFAX and is selling for UNDER $10k.....that equals a GREAT VALUE in any book! The Champagne on Tan Leather Interior is a classic color combo and its equipped with a Automatic V6, 3.2 liter engine and RWD. PLENTY OF OPTIONS, FULLY SERVICED and PUMPKIN CERTIFIED....hand-picked by Franck Freon himself. Power Seats w/ Memory Positioning, Power Moon Roof, AM/FM/WB Stereo, Alloy Wheels, Auto-Dim Rear View Mirrors, Pull Power Options and More. Come in for a NO HASSLE test drive today! CONTACT US at (609)646-7676 or by email at [email protected]. Visit us on the web at http://www.pumpkincars.com/ for a complete list of our pre-owned vehicles and for more information. Just brought into inventory on Monday, check out this great 2000 Lexus ES300! With a Spotless CarFax Report, this is another great pick by Franck Freon. It is a very sleek Black on Tan Leather Color combination with 79k miles this is the perfect car for a customer looking for really great value. It is clean as a whistle and priced just right at $9,995! As far as options go, this is a luxury sedan, so expect luxury features. It has Power and Heated Seats for those cold winter mornings, as well as Memory Positions, a plush Leather Interior, a 6-Disc CD Changer, Alloy Wheels, Power Mirrors, Windows and Locks plus much much More!! This car has been hand picked and test driven by Franck Freon himself. It has also been fully serviced and detailed all as part of our rigorous Pumpkin Certification Program. Come by our unique indoor showroom today to take this baby or any of our great cars in inventory home with you! As always, Pumpkin Fine Cars can be reached over the phone at 609-646-7676 and via email at [email protected] . You can find us and "Like" Pumpkin Cars on Facebook, follow the tweets of @PumpkinCars on Twitter, view more videos than ever of our inventory and showroom on YouTube and if you enjoy what you have just read, please subscribe to our blog! 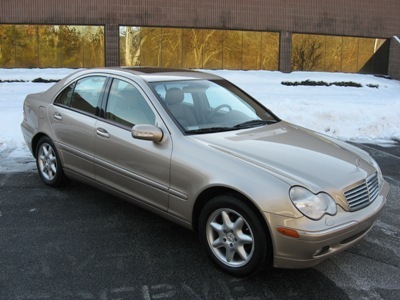 Check out this classic, pre-owned 2001 S430 Benz from Pumpkin Fine Cars & Exotics. With Silver Exterior on Black Leather, this full-size sedan rides SO SMOOTH and is really a PLEASURE TO DRIVE! Fully serviced and fully loaded, you get so much vehicle for your money with this pre-owned S430. A CLEAN & PERFECT CARFAX, GREAT OPTIONS including Power/HEATED SEATS w/Memory, NAVIGATION, XENON Headlights, 6 Disc CD Changer, Power Moon Roof and More!! OWN THIS PUMPKIN CERTIFIED, S430 Benz for ONLY $14,495.00! Come in for a NO HASSLE test drive today! CONTACT US at (609)646-7676 or by email at [email protected]. 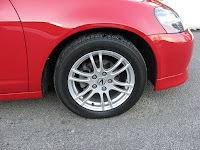 Visit us on the web at http://www.pumpkincars.com/ for a complete list of our pre-owned vehicles or for more information. NOT ONE...BUT TWO Volvo S60 Sedans are NOW IN STOCK! 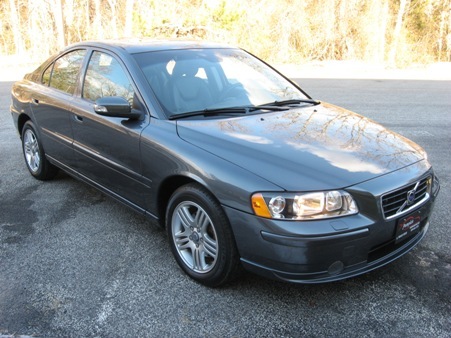 Hand-picked by none other than Franck Freon himself, we have two 2007 Volvo S60 2.5t LP Turbo 4-Door Sedans. 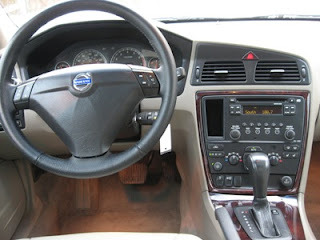 The first Volvo S60 is a GORGEOUS Metallic Blue on Tan Leather with a 5-cylinder AWD Transmission. Just over 60k miles and a PERFECT CARFAX HISTORY Report! Power/HEATED SEATS w/ Memory, Power Moon Roof, Alloy Wheels, CD Player and full power options. VOLVO is known for their RELIABILITY & SAFETY STANDARDS not to mention their INCREDIBLE ROOM & COMFORT! 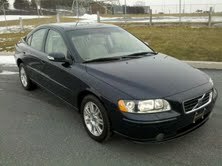 This S60 is priced at $16,995! The second Volvo we are featuring is also a 2007 S60 but equipped with a RWD Transmission instead. 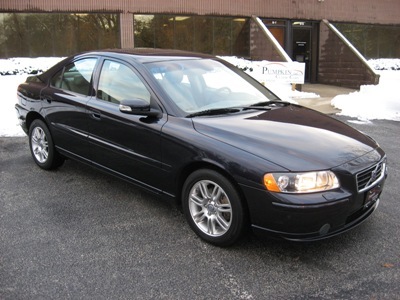 SAME COMFORT, SAFETY & PERFORMANCE however this S60 is currently UNDER A FACTORY WARRANTY! The Titanium Gray Pearl on Charcoal Leather is a GREAT COLOR COMBO and with ONLY 46k miles its just LIKE NEW! Power/HEATED SEATS w/ Memory, AM/FM Stereo System with CD Player, Full Power Options, Power Moon Roof and Alloy Wheels are some of the great features this pre-owned Volvo has to offer. PRICED WELL UNDER MSRP AT ONLY $15,995! Stop by our INDOOR SHOWROOM and take one or both of these PRISTINE Volvos for a test drive today! For more information CONTACT US at (609) 646-7676 or by email at [email protected]. 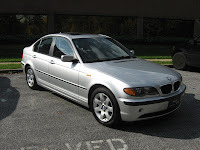 Visit us on the web for a complete listing of our pre-owned vehicles at http://www.pumpkincars.com/. 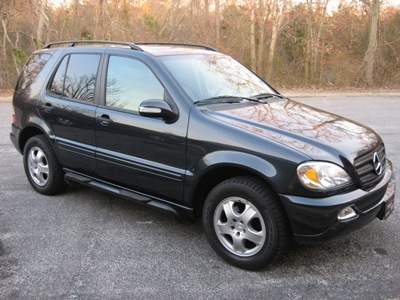 Check out this 2003 ML350 7-Seater by Mercedes Benz with THIRD ROW and RUNNING BOARDS for ONLY $14,995! PERFECT CARFAX HISTORY, VERY LOW MILES at only 68k! Its a V6, AWD SUV that packs in TONS OF FEATURES, SAFETY & RELIABILITY! 6-Disc CD Changer, Power/HEATED SEATS, Power Moon Roof, Privacy Glass, Alloy Wheels, Roof Rack and so much more!! Come in for a NO HASSLE test drive today! CONTACT US at (609)646-7676 or by email at [email protected]. Visit our website at http://www.pumpkincars.com/ for a complete list of our pre-owned vehicles and for additional information. Pumpkin Fine Cars & Exotics' Car Of The Day...a 2006 Mercedes Benz R350, 4-Door Crossover. This IMMACULATE Crossover vehicle blends all the best features of an SUV, Minivan & Station Wagon with the style, class and safety Mercedes is known for. The beautiful White Exterior is trimmed classically with Tan LEATHER Interior and Light Wood Trimming. 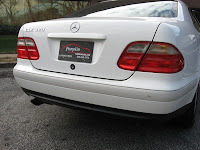 This pre-owned Benz has a PRISTINE CARFAX and is LOADED TO THE MAX with TONS OF LUXURY FEATURES. THIRD ROW/6-Passenger Seating, PREMIUM Package with a Harmon Kardon System, MP3/CD Player & 6-Disc CD Changer, Alloy Wheels, UNIQUE PANORAMIC Roof, Power/HEATED SEATS w/ Memory, HEATED REAR SEATS, NAVIGATION, Power Rear Gate Lift, Power Folding Mirrors, Power Adjustable Steering Column and Privacy Glass Windows! All this and more for $24,995. Come in for a NO HASSLE test drive today! CONTACT US at (609)646-7676 or by email to [email protected]. For more information log onto our website at http://www.pumpkincars.com/. Pumpkin Fine Cars & Exotics' Car Of The Day...a 2002 Mercedes Benz C240, 4-Door Sedan. This pre-owned gem is another RARE FIND by Owner Franck Freon. It has VERY LOW MILEAGE, driven only 66,593 miles since new and is in IMMACULATE CONDITION! Fully serviced, professionally detailed and Pumpkin Certified! Equipped with a V6, 2.6 liter engine, Automatic transmission and RWD. 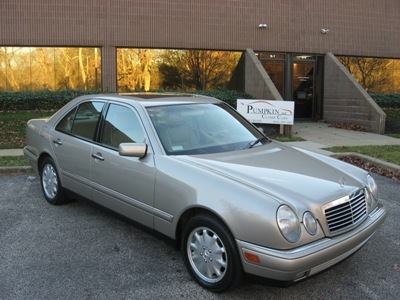 This sporty C240 is SO MUCH FUN TO DRIVE and can be yours for ONLY $11,495! Complete with a PERFECT CARFAX HISTORY REPORT!!! 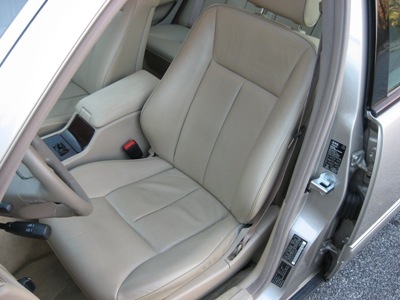 The Champagne on Tan Leather Interior is a beautiful color combination. LOADED WITH OPTIONS including HEATED POWER SEATS + MEMORY Positioning, Power MOON ROOF, AM/FM/WB Stereo with a 6-Disc CD CHANGER, Auto Dim Rear View Mirrors, Alloy Wheels and much more. So get out of the winter weather and step into our INDOOR SHOWROOM located just outside of Atlantic City, in Egg Harbor Twp. CONTACT US at (609) 646-7676 or by EMAIL at [email protected] to schedule an appointment. For more information log onto our website at http://www.pumpkincars.com/ where you will find a wealth of information including a complete listing of our pre-ownd vehicles. HURRY IN! This 2002 C240 WON'T LAST LONG! 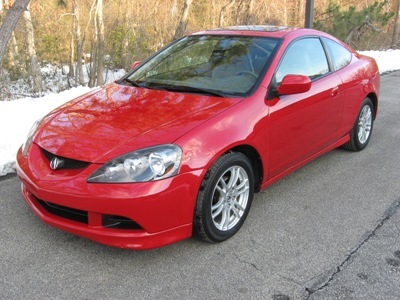 Pumpkin Fine Cars & Exotics' Car Of The Day...a 2006 Acura RSX, 2-Door Coupe. This little gem is a RARE FIND! The RSX is "one of the BEST SPORT HATCHBACKS CURRENTLY AVAILABLE", according to Edmunds.com. "It nicely blends performance, comfort and features into a package that costs less than most of the competition." This pre-owned Acura has a STRONG AND RELIABLE 4-cylinder 2.0 liter engine and a shiftable automatic transmission. Its FUN TO DRIVE and won't break the bank! It has a PERFECT CARFAX and is a CERTIFIED ONE-OWNER! With ONLY 54,328 original miles, its like driving a new car at a fraction of the cost. The flashy Red Exterior is trimmed by Gray LEATHER INTERIOR. Features include a POWER MOON ROOF, ALLOY WHEELS, AM/FM/WB Stereo with a CD Player, Power Windows & Locks and more...WHERE ELSE CAN YOU FIND A CAR LIKE THIS for ONLY $13,995?!?! It has been FULLY SERVICED & PUMPKIN CERTIFIED! Come in for a NO HASSLE test drive today and get out of the cold in our UNIQUE INDOOR SHOWROOM! Contact us at (609) 646-7676 or by email at [email protected] for more information. 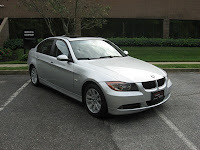 To view a complete listing of our pre-owned vehicles currently in stock, log onto our website at www.pumpkincars.com. 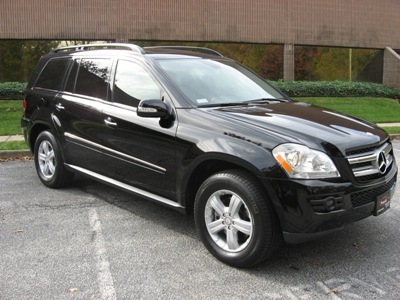 First we have an awesome 2008 Mercedes Benz GL450 4Matic. This is THE truck. It is Black with a Black leather interior and it as loaded as they come with Double Power Moon Roof, MP3/6-Disc CD Changer, Power/HEATED SEATS with Memory & LUMBAR Support, Rear View BACK-UP CAMERA, POWER FOLDING THIRD ROW Seats, Alloy Wheels, Privacy Glass, Roof Rack, NAVIGATION, Parktronic Parking Sensors, Power Lift Gate and Much More. 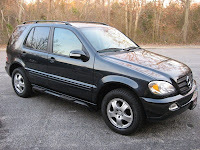 More importantly CarFax Certified One Owner car and has Mercedes Benz factory warranty until February of 2012! 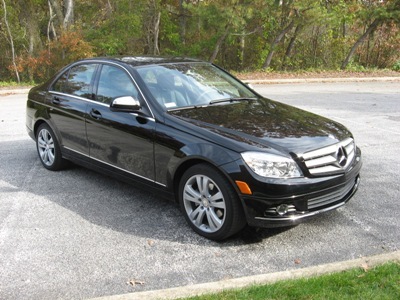 Next, sticking with Mercedes is this really great 2008 C300 Luxury 4Matic. This is the newest body style for the C Class and is a very sharp Black exterior with a Black leather interior. With All Wheel Drive, it is the perfect luxury sedan for this time of year! This is also a Car Fax Certified One Owner car and it is under Mercedes Benz factory warranty until June of 2012. It has plenty of great features and options like the Premium 1 Package including Sirius SATELLITE Radio with MP3and CD Player, Power/HEATED Front SEATS, Auto-Dimming Driver's Side & Rear View Mirrors, Power Folding Side Mirrors, Garage Door Opener, RAIN SENSING WIPERS, ALLOY Wheels and BLUETOOTH! Come by today for a No-Hassle test drive. Finally we move to the other German auto manufacturer, BMW. Check out this phenomenal 2008 BMW 528xi. It is Alpine White with Natural Brown Dakota leather interior. This car is the definition of pristine and is also a Car Fax Certified One Owner car with BMW factory warranty and service plan until March of 2012! As far as options, we are talking All Wheel Drive, the Premium Package, Cold Weather Package, Power/Heated seats with Memory & LUMBAR Support both Driver & Passenger, Heated Steering Wheel, Power Folding Mirrors, Alloy Wheels, AutoDim Rear View Mirrors, BMW Assist, BlueTooth. What more could you want! Come by our unique indoor showroom and see the high quality cars that are hand picked and Pumpkin Certified by Franck Freon, a professional race car driver for almost 20 years! You can contact Pumpkin Cars over the phone at 609-646-7676 or via email at [email protected] . You can find and Like Pumpkin Cars on Facebook, follow the tweets of @PumpkinCars on Twitter, view videos of our inventory and showroom at the Pumpkin Cars Channel on YouTube and if you enjoy what you have just read, please subscribe to our blog. Pumpkin Fine Cars & Exotics' Car Of The Day...a 1998 Mercedes Benz E320, 4-Door Sedan. This pre-owned E-Class Benz is a RARE FIND! Not only is it in EXCELLENT CONDITION but it has ONLY 68,809 ORIGINAL MILES! The math is very simple...CLEAN & PERFECT CARFAX + LOW MILES = OUTSTANDING VALUE...ONLY $9,995.00! Pumpkin is known for having quality vehicles at very affordable prices. We back all of our vehicles with our limited Powertrain Warranty and every vehicle goes through our VIGOROUS PUMPKIN CERTIFICATION before hitting the showroom floor! 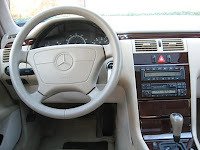 This pre-owned '98 Benz has a BEAUTIFUL CHAMPAGNE Exterior on Tan Leather, trimmed with a Laurel Wood. 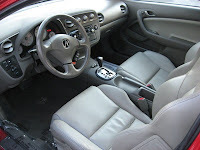 The 1998 models received an upgrade to a greater fuel efficient V6 engine, Brake Assist Technology (which assist in emergency stopping situations) and the BabySmart Air Bag Sensors (senses when a little one is in the front seat and disables the airbag). Plenty of additional options include Power Seats w/ Memory, Power Moon Roof, AM/FM/WB Stereo, Full Power Options, Alloy Wheels, Auto-Dim Rear View Mirrors and SO MUCH MORE! Come in for a NO HASSLE test drive today and view the complete line of pre-owned vehicles we currently have in stock! CONTACT US at (609)646-7676 or by email at [email protected] if you would like to schedule an appointment! As always, a wealth of information including financing applications and customer testimonials can be found online by visiting our website at http://www.pumpkincars.com/. JOIN THE GROWING NUMBER OF PUMPKIN CARS ON THE ROAD TODAY! Stop by our UNIQUE INDOOR SHOWROOM and give us the chance to EARN YOUR BUSINESS, you won't be disappointed! We here at Pumpkin Fine Cars hope that all of our great customers and friends all have had a happy, healthy and relaxing holiday season and we would like to welcome everyone back to the realities of a long winter! We also want to extend a very special Thank You to all of our outstanding customers that made donations and contributions for our gift drive as part of The Arc of Atlantic County's Holiday Partners Program. It is always great to see people volunteer to step forward and give out of their own pocket to help those less fortunate. We truly appreciate your efforts and look forward to building on that momentum in the future! Another topic that we wanted to touch on in this blog is the ever popular New Years Resolution! A very appropriate quote on New Years Resolutions that we found quite entertaining by an unknown author is, "He who breaks a resolution is a weakling; He who makes one is a fool." The current average statistics on resolutions is that between 40-45% of adults makes New Years Resolutions and only about 8% are successful in achieving their goals year in and year out. It looks as though about 24% have never succeeded in any resolutions they have made. That is 1 in 4! Some tips for sticking to and achieving your goals for the new year are: Be committed to a long term goal for success, and come up with a with a realistic plan on how to do so. Be prepared for setbacks because they almost always occur but you have to be able to get back on track. Finally, track your progress on either a weekly or bi-weekly basis so you have tangible evidence of how close you are to achieving your goal. There are also some easier and more general resolutions out there that can be achieved and can help you improve without being so specific. You can make new traditions for you and your family that you can enjoy over the years, slow down and take some time to yourself each day, enjoy the great outdoors by biking, fishing or camping. You can also make a resolution to get yourself organized, conserve energy and go green, take up a creative hobby, get to know your neighbors by organizing a neighborhood event, and finally do good deeds and perform random acts of kindness! These are just a few suggestions to help make 2011 a great year for you and your family. Our resolution here at Pumpkin Cars is to continue to provide pristine pre-owned vehicles with outstanding service to all of our customers! As usual Pumpkin Cars can be reached over the phone at 609-646-7676 and via email at [email protected] . Feel free to share your suggestions for New Years Resolutions and "Like" Pumpkin Cars on Facebook, follow the tweets of @PumpkinCars on Twitter, and view videos of our inventory on YouTube. Also, please make it a New Years resolution to subscribe to our blog! Pumpkin Fine Cars & Exotics' Cars of the Day...Today we are featuring three BMW 3-Series Sedans, all in Perfect, Like New Condition. All have been FULLY SERVICED & PUMPKIN CERTIFIED, ready for new homes! As stated on Edmunds.com vehicle reviews, "If you've got the bucks, this (3-Series) is unequivocally the best car in the entry-luxury category". Loaded with TONS OF LUXURY FEATURES and PERFECT CARFAX HISTORY REPORTS, your search for a quality vehicle at an affordable price ends here! 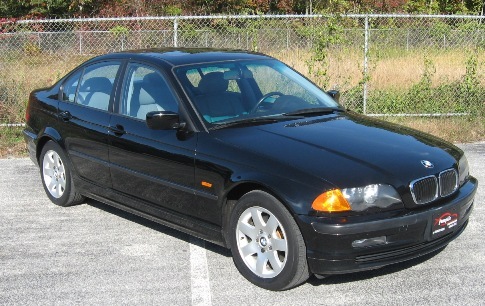 This 2001 BMW 325i has ONLY 66,132 original certified miles! Its GREAT LOOKING with a GREAT COLOR COMBINATION of Black on Gray Leather Interior. FEATURES include Full Power Options and Power/HEATED SEATS, Power Moon Roof, Alloy Wheels and a CD Player with a Premium Sound System! This pre-owned 325i can be yours for ONLY $10,995! 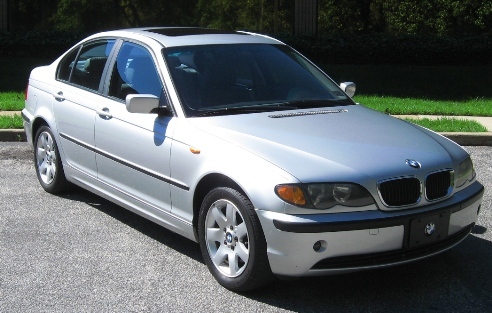 This SLEEK SILVER BULLET is a 2002 BMW 325i with ONLY 72,563 miles! Silver on Lush Gray Leather Interior makes for a nice color combo. Loaded w/ Options such as Power/HEATED SEATS with MEMORY Positioning, Full Power Options and Power MOON ROOF, CD Player and Alloy Wheels. DRIVE AWAY in this PRISTINE 325i for ONLY $11,995! A slightly newer version is this SPORTY, Silver 2004 BMW 325i which is in EXCELLENT CONDITION to say the least! 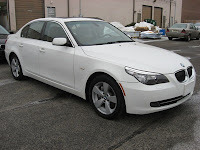 Its equipped with a 5-SPEED MANUAL Transmission and comes with an Extended Warranty Valid Till April 2012 or 99,500 miles. Power/HEATED SEATS w/ Memory Positioning, ALLOY Wheels, XENON HEADLIGHTS, Auto-Dim Rear View Mirrors and light GRAY LEATHER INTERIOR tops it all off. With just over 81k original miles and PRICED WELL UNDER BOOK, you won't find another one like it for miles around at ONLY $11,995! CONTACT US TODAY at (609)646-7676 for a FRIENDLY, NO-HASSLE TEST DRIVE! For more information or to view a complete listing of our pre-owned vehicles, log onto our website at http://www.pumpkincars.com/ or send us an email at [email protected]. We have everything from FINANCING to Customer TESTIMONIALS available on our website for your review! So what are you waiting for? Get out of the cold and stop by our INDOOR SHOWROOM located just outside of Atlantic City! 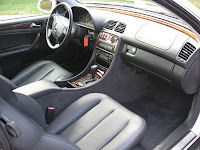 Pumpkin Fine Cars & Exotics' Car of the Day...a 1998 Mercedes Benz CLK320, 2-Door Coupe! WHAT A GREAT FIND!!! We have this VERY CLEAN, ONE-OWNER CLK320 with just over 102k miles! It is a Sporty Benz in GREAT CONDITION, RUNS LIKE A CHAMP and has TONS OF LUXURY FEATURES! Mercedes has blended the C & SLK-Class technologies and derived from that the CLK Coupe which "boasts a powerful engine, emotive styling and a comfortable interior" according to Edmunds.com. As with the ML320 and E320, its equipped with the same 3.2 liter V6 engine. 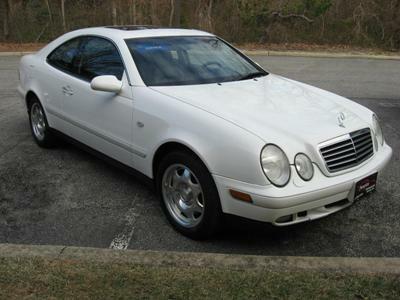 This pre-owned CLK320 has an Automatic transmission and is SO MUCH FUN TO DRIVE! A CLASSY WHITE Exterior is combined with Charcoal LEATHER INTERIOR. Plenty of Options like Alloy Wheels, XENON Headlights, Power/HEATED SEATS w/ MEMORY, Power Mirrors, Auto-Dim Rear View Mirrors and a BOSE Premium Sound System with a 6-Disc CD Changer are just a few of the many features available on this Benz! It has a SPOTLESS CARFAX History Report and can be yours for ONLY $9,995! 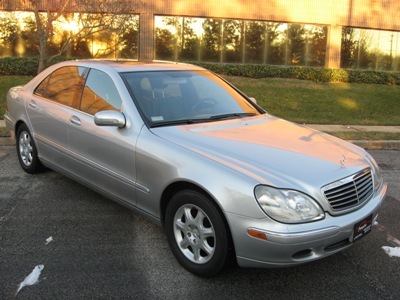 Where else can you find a GREAT, CLEAN & RELIABLE Benz that not only LOOKS & RUNS GREAT but is under $10k?!?! Stop by our UNIQUE INDOOR SHOWROOM for a HASSLE-FREE test drive today! CONTACT US at (609)646-7676 or by email at [email protected]. For more information, log onto our website at http://www.pumpkincars.com/ and click on the Inventory tab for a complete list of our pre-owned vehicles. We have financing available for those who qualify and a credit application can be found on our website as well. CALL US ANYTIME to schedule an appointment...we look forward to earning your business!